For the past five decades, Sir Cuthbert Sebastian has dedicated his life to leading the Federation to prosperity as a distinguished public servant. After achieving a BSc at Mount Allison University in New Brunswick in 1953, Dr. Sebastian went on to graduate from Dalhousie Medical School in Halifax, Nova Scotia with a Doctorate in Medicine and a Master of Surgery Degree in 1958. Returning to St. Kitts, he then joined the Government's Medical Service, working as District Medical Officer throughout St. Kitts, Nevis and Anguilla. From 1962 to 1966, Dr. Sebastian trained at the Dundee Royal Infirmary in Scotland, specializing in obstetrics and gynaecology. Upon returning to the island, he was appointed Medical Superintendent and Obstetrician/Gynaecologist at the Cunningham Hospital and its successor, the Joseph N. France General Hospital. He also served as Chief Medical Officer from 1980 to 1983. Dr. Sebastian's military background locally and overseas includes attaining the rank of Captain Surgeon of the St. Kitts-Nevis Defence Force and Captain in the British Army. In 1970, Dr. Sebastian was made an Officer of the Most Excellent Order of the British Empire (OBE) by Queen Elizabeth II. Dr. Sebastian is currently the Governor-General of St. Kitts & Nevis after being appointed by Her Majesty Queen Elizabeth II to that position in 1995. In 1996, Dr. Sebastian received the Knight Grand Cross of the Most Distinguished Order of Saint Michael and Saint George. Hon. 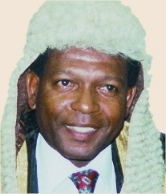 Dr. Denzil Llewellyn Douglas was sworn in as the second Prime Minister of the Federation of St. Kitts & Nevis immediately following the St. Kitts-Nevis Labour Party’s impressive election victory in July 1995. 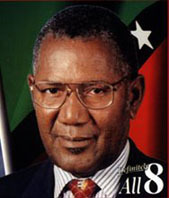 Re-elected resoundingly with all eight seats in March 2000, Dr. Douglas is also Minister of Finance, Development & Planning, and National Security. Born in the north island village of St. Paul’s in January 1953, Dr. Douglas grew up in the youth arm of the Labour Party and, in 1979, became the first Young Labour representative to sit on the party’s National Executive. An excellent student, Dr. Douglas studied at the University of the West Indies on a scholarship receiving his B.Sc. in 1977 and his medical degree in 1984. Following his internship in Trinidad, he returned to St. Kitts & Nevis in 1986 and established a private practice as a family physician. 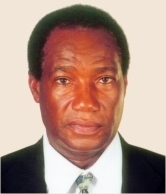 He also served as President of the St. Kitts-Nevis Medical Association in the late 1980s. In 1987, Dr. Douglas became Deputy Chairman of the Labour Party. In the March 1989 national elections, he was elected from Newton Ground/ Harris constituency to the Parliament of the National Assembly and was appointed Leader of the Opposition. Later that same year, after being elected National Political Leader, he restructured and re-energized the party in preparation for its decisive 1995 victory. 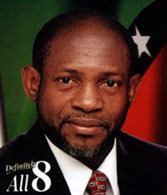 As Prime Minister, Dr. Douglas plays an active leadership role in many regional and international organisations including the Organisation of Eastern Caribbean States (OECS), the Eastern Caribbean Central Bank (ECCB), the Caribbean Community (CARICOM), the Caribbean Development Bank (CDB), the Association of Caribbean States (ACS), the Organisation of American States (OAS), the International Monetary Fund (IMF), the World Bank, The Commonwealth and the United Nations. Sam Condor was born in Basseterre in 1949. He attended Irish Town Primary School and Basseterre Senior School before going to England to continue his studies. He was awarded a Diploma in Development Studies from Ruskin College in Oxford and a B.A. (Hons.) in Economics from the University of Sussex in Brighton. Prior to and during his studies abroad, Sam was a printer at the Government Printery and a senior clerk in the Inland Revenue Department. Until becoming a member of government in 1995, he was Managing Director of Quality Foods Ltd. Active in sports and the community, Sam was a player and manager/coach with the National Football Team as well as a member of the Family Planning and Population Committee and the St. Kitts-Nevis Tourist Board. He was also first Chairman of the Bradshaw Youth Centre Committee. Before being elected to Parliament in 1989, Sam was Vice-Chairman of Young Labour and Youth Co-ordinator for the party. He became Deputy Leader of the Labour Party in 1990 and, following Labour’s sweeping 1995 election victory, was appointed Deputy Prime Minister and Minister of Trade, Industry, CARICOM Affairs, Youth, Sports, and Community Development. Returned again to Parliament by his constituents in Labour’s stunning All 8 win in the 2000 general election, he was reappointed Deputy Prime Minister and Minister of International Trade, Labour, Social Security, CARICOM Affairs, and Telecommunications and Technology. Sam Condor is married with three children. Dwyer Astaphan was born at Cunningham Hospital in Basseterre in 1948. He was educated at the Convent High School and the St. Kitts-Nevis Grammar School. After graduating from Sir George Williams University in Montreal, Canada with a B.A. in psychology, he subsequently attended the Inns of Court School of Law in London, England where he graduated as a Barrister-at-Law in 1973. Hard work has always been important to Dwyer Astaphan. He picked up business experience as a young man and later while managing a small hotel before teaching for two terms at the Basseterre Junior High School. After spending several years working in Canada, he returned home in 1980 and reopened his law practice. A former musician, Dwyer was a founding member and saxophone player in the Will Richards Combo in the mid-1960s. In 1969, as manager, he took the popular Silver Rhythms Combo to Jamaica to cut the first LP record ever produced by a St. Kitts band. 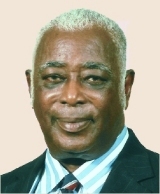 An avid sportsman and sports administrator, he played cricket and football as a youth and later served in a number of senior administrative positions in amateur sport in the Federation including four years as the St. Kitts Cricket Association President, four years as Leeward Islands Cricket Association President, fours years as a Leeward Repre-sentative to the West Indies Cricket Board, as a member of the Disciplinary Committee of the local basketball and netball associations, and as President of the St. Kitts Amateur Boxing Association. He also managed St. Kitts’ most famous boxer, Caribbean Welterweight Champion Fighting Hunks of Conaree. Elected to Parliament in Labour’s sweeping 1995 election victory, Dwyer Astaphan was appointed Minister of Tourism, Culture & Environment in the new government of Dr. Denzil L. Douglas. Returned again to Parliament by his constituents in Labour’s stunning All 8 win in the 2000 general election, he was appointed Minister of Tourism, Commerce and Consumer Affairs. Dr. Earl 'Asim' Martin was born in Gingerland, Nevis in 1958. He grew up at Bakers Corner, East Basseterre, where he attended the Newtown Primary School and Basseterre Junior and Senior High Schools. After a brief career as a teacher at the Irish Town Primary School, Asim went to the University of Havana, Cuba in 1982 to study medicine. In 1983 he was awarded a diploma in Spanish by the Higher Education Institute of Havana and he taught basic science at the University of Havana while pursuing his studies. He graduated as a medical doctor in 1989 and returned to St. Kitts where he entered into private practice at West Square Medical Office. Active in the community, Asim served as President of the Zero Nights Youth Club from its inception in 1977 until he left to study in 1982. During this period he was also instrumental in the construction of the Dorset Park facility. He is a former leader of the Newtown Scout Group where he had the opportunity to attend many overseas youth meetings, camps and conventions. Dr. Martin was physician for the Newtown Football Team from 1990-1995 where he provided his medical services free of cost. He has also provided medical services to other sporting groups and youth camps. 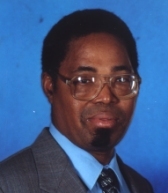 Dr. Martin was first elected to Parliament in 1993 representing the East Basseterre constituency for the opposition St. Kitts-Nevis Labour Party. 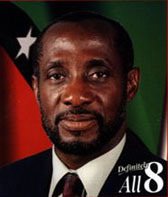 Re-elected in Labour's sweeping victory of 1995, he was appointed Minister of Health and Women's Affairs in the new government of Dr. Denzil L. Douglas. Returned again to Parliament by his constituents in Labour's stunning All 8 win in the 2000 general election, Dr. Martin was appointed Minister of Health and the Environment. Cedric Roy Liburd was born in Upper Monkey Hill, St. Peter’s Parish, St. Kitts and was educated at St. Peter’s Primary School and Basseterre Senior School. He worked at the National Caribbean Insurance Company from 1974 to 1984 as a Sales Agent and Sales Supervisor. Between 1984 and 1995, he worked for the Colonial Life Insurance Company (Trinidad) Limited as a Sales Representative and later, Agency Manager for St. Kitts-Nevis and Anguilla. Active in the community, Cedric Liburd is a devoted member of St. Peter’s Anglican Church where, having held the position of Treasurer for twelve years until 1995, he currently performs the duties of Assistant Treasurer and serves on the Vestry. He was a regular delegate to the Diocesan Synod and was a member of the St. Peter’s Anglican Young People’s Association for sixteen years. He also served the community as Second Vice-President and Treasurer of the St. Kitts Lions Club. The Leeward Times newspaper recently adjudged him 1999 Man of the Year. An avid sportsman with a keen interest in football, cricket and dominoes, Cedric Liburd was President of the St. Peter’s Football Association. After he re-organised the league in 1986, the team gained historical promotion to the First Division in the National Football Competition in 1988. He was also manager/player of the St. Kitts Domino Team to the World Tour in Guyana in 1994. 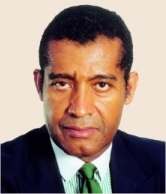 Elected to Parliament in the sweeping 1995 Labour victory, Cedric Liburd was subsequently appointed Minister of Communications, Works and Public Utilities in the new government of Dr. Denzil L. Douglas. Returned again to Parliament by his constituents in Labour’s stunning All 8 win in the 2000 general election, he was appointed Minister of Agriculture, Co-operatives, Fisheries, Lands and Housing. Cedric Liburd and his wife Veronica are proud parents of a son and three daughters. 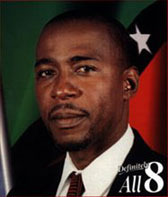 Jacinth Henry-Martin was born in Sandy Point in 1961. She was educated at the Sandy Point Infant and Primary Schools, the Road Town Primary School in Tortola, and the Sandy Point and Basseterre High Schools where she was an outstanding student and athlete. She is fluent in French, is a qualified Spanish teacher and has a diploma in Cultural Management. Jacinth’s work experience has been well-rounded including service as a bank clerk, bilingual secretary, language teacher and U.S. Peace Corps cultural orientation trainer. She was appointed Director of Culture in the Tourism Ministry in 1996. Jacinth Henry-Martin is also a talented and accomplished storyteller, dramatist and songwriter who has performed for enthusiastic audiences at home and regionally. She wrote the lyrics for the winning song in the 1995 CBU Song Festival and was crowned the first Calypso Queen the same year. She is a member of the organising committee of the St. Kitts Music Festival and was Director-General of the very successful CARIFESTA VII in 2000. 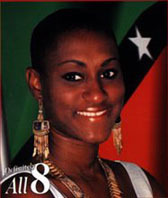 Jacinth was appointed a Senator and Parliamentary Secretary in the Ministry of Tourism, Culture and the Environment in early 2000 and, following her victory in Labour’s stunning All 8 general election win later that year, she was appointed Minister of Information, Culture, Youth and Sports in the new Cabinet of Prime Minister Hon. Dr. Denzil L. Douglas. Jacinth Henry-Martin is married with three sons and attends the Moravian and Methodist churches. Rupert Herbert was born at Wingfield Road, Old Road, in 1936. He attended both the Old Road and Middle Island Elementary Schools before winning a scholarship to the St. Kitts-Nevis Grammar School which he attended from 1950-1952. He received teacher training at the Leeward Islands Teachers’ Training College in Antigua before migrating to England in 1960 where he worked as a bus conductor and driver while preparing to qualify to enter university. He studied at the University of Hull where he received a B.Sc. Honours degree in economics as well as at the University of Leeds where he earned a Graduate Certificate in Education. A teacher by profession, Rupert Herbert taught elementary school in St. Kitts and secondary school in Sierre Leone, West Africa. He was a graduate teacher at the Basseterre Junior High School, Education Officer-Primary Schools, Headmaster of the Basseterre High School and Acting Labour Commissioner and Education Officer-Examinations. Active in the community, Rupert is a Past President of the Junior and Wesley Guilds of the Old Road Methodist Church. He was also Society Steward, a class leader and captain of the Old Road Boys Brigade Company, and past Vice-President of the St. Kitts Teachers Union. He is an accomplished pan player. 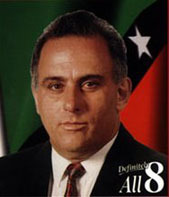 Elected to Parliament in Labour’s sweeping 1995 victory, he was appointed Minister of Education, Labour & Social Security in the new government of Dr. Denzil L. Douglas. Returned again to Parliament by his constituents in Labour’s stunning All 8 win in the 2000 general election, he was appointed Minister of Social Development, Community and Gender Affairs. Rupert Herbert and his wife Loretta have five children. Dr. Timothy Harris was born in 1964 in Tabernacle. He was educated at Tabernacle Primary School, Cayon High School and Basseterre Senior High School before attending the University of the West Indies on a scholarship. Before studying at UWI, Tim worked at the Social Security office, Wellington Limited, and S. L. Horsford & Co. Limited. At UWI (Cave Hill) he earned a first class B.Sc. degree in accounting. After working in the private sector in St. Kitts for two years, he returned to UWI (St. Augustine) to pursue graduate studies, receiving his M.Sc. with distinction in accounting in 1992. He recently received his Ph.D. in accounting and public administration from Concordia University in Montreal, Canada. A community activist, Tim has supported several community groups including Molineux/PhillipsORAMA, FESTAB and Hidden Alley Festival. He has been the major benefactor of Hon. Timothy Harris Constituency Basketball League and Hon. Timothy Harris Constituency 7 Domino Tournament. He has also sponsored basketball, volleyball and football teams in Constituency 7. He attends the Tabernacle New Testament Church of God and the Estridge Moravian Church. Active in the Labour Party for many years, Timothy Harris has been constituency secretary, constituency representative on the National Executive Board, a member of the Young Labour Advisory Committee, and Youth Co-ordinator. He is presently Chairman of the St. Kitts-Nevis Labour Party. 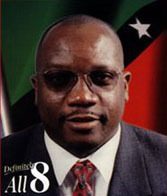 First elected to Parliament in 1993, Timothy Harris was re-elected in the sweeping Labour victory of 1995 and was subsequently appointed Minister of Agriculture, Lands and Housing in the new Labour government of Dr. Denzil L. Douglas. 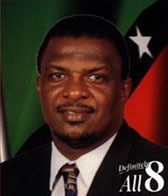 Returned again to Parliament by his constituents in Labour’s stunning All 8 win in the 2000 general election, Dr. Harris was appointed Minister of Foreign Affairs and Education.